I’m not trying to say that I’m a bad adult, but living in San Francisco makes it very difficult to save money. Mentally, I have always felt like stashing away money to save for later was the hallmark of someone who really had it together. But physically, the act of saving money felt challenging, even when properly budgeting and eking out a margin to store monthly. That’s why I’ve been so in love with Digit, an app that scans your account and sneaks away little denominations from your checking account. It also texts a daily checking balance, allowing you to keep up with your cash flow and constantly redefine daily budgeting. When you can see the money fly out of your hands, you figure out ways to make it easier on yourself. One of the cool things about it is that it really isn’t an “app” at all — it’s a text messaging service that you can use with any mobile phone, even a dumb phone. The amount Digit saves me isn’t monumental — on average, it has saved me roughly $200 per year. But this is a cache of money that I can either use to buffer my monthly savings or tap into it for some fun purchases. It’s outside of my regular saving plan, so it always feels like a bonus. And when you’re in a big city on a small budget, little bonuses are really major. 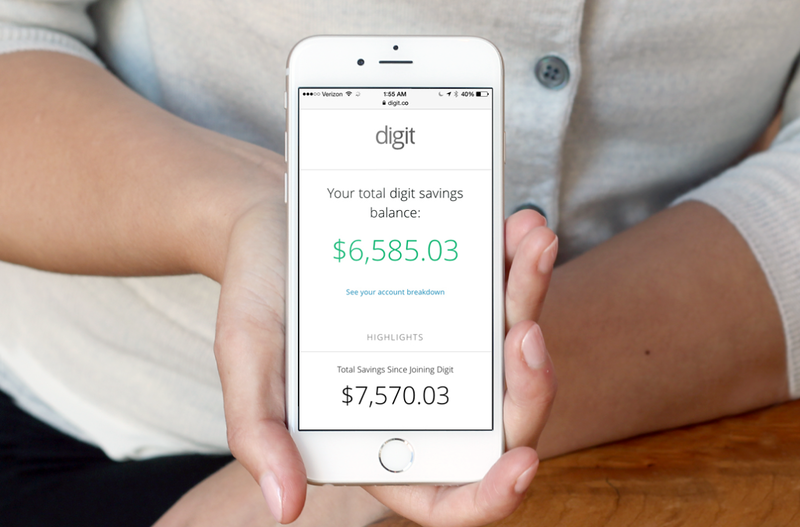 Sign up at Digit.co — no app necessary — to get to saving.